I’m a definite fan of Shark Week, but I have to say it was a bit of a letdown after the Olympics. I needed to boost my spirits P.O.G. (post-Olympic Games), so I decided to get into the Shark Week spirit. I was inspired by a trip to Michael’s during which I bought an array of cake decorating toys, including piping bags, tips, gum paste and fun cupcake liners. I geek out on craft supplies, so it was a pretty great trip for me. 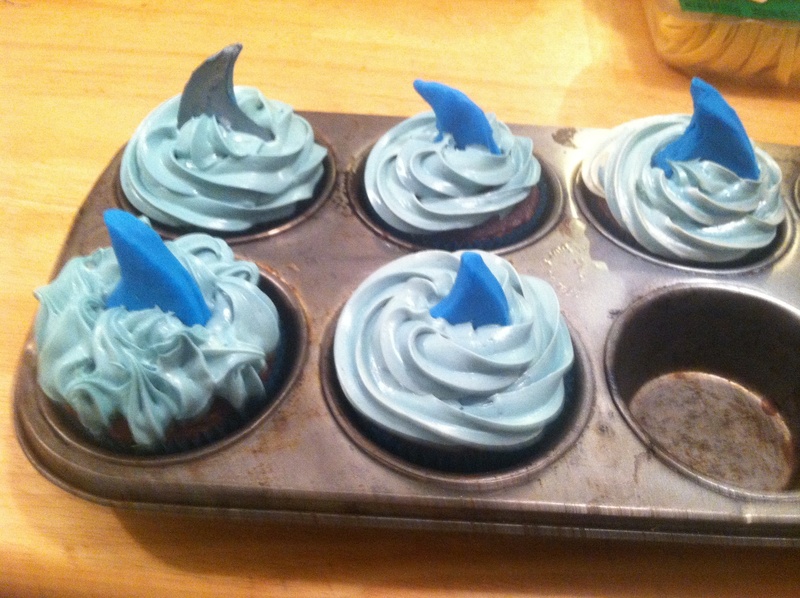 I put my new toys to good use by making Shark Week Cupcakes. They weren’t the most beautiful cupcakes a person has ever made, but I was pretty proud of myself. I used buttercream frosting dyed blue and then made the fins from gum paste (I was too lazy to make my own modeling chocolate). Mostly I was playing around with my piping bag and the weirdo silver cake spray I got. The gum past wasn’t supremely executed but all the knives were in the wash and so I cut the pieces with a fork.. I did, however, spray a couple of shark fins silver just because they looked more badass that way. 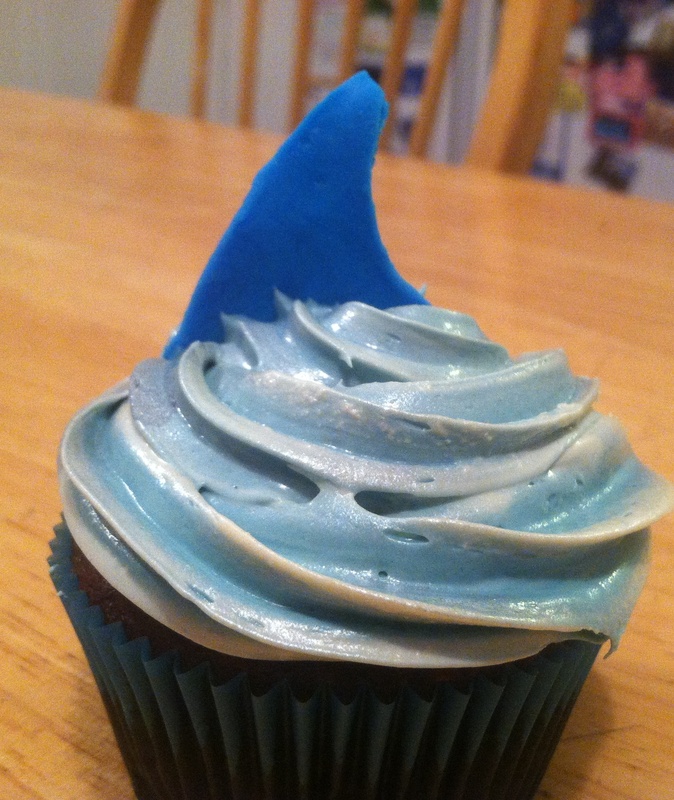 Needless to say I spent last night eating shark fin adorned cupcakes while watching Shark Men. My plans for tonight probably look pretty similar, since I’ve got a DVR full of Great White shows. 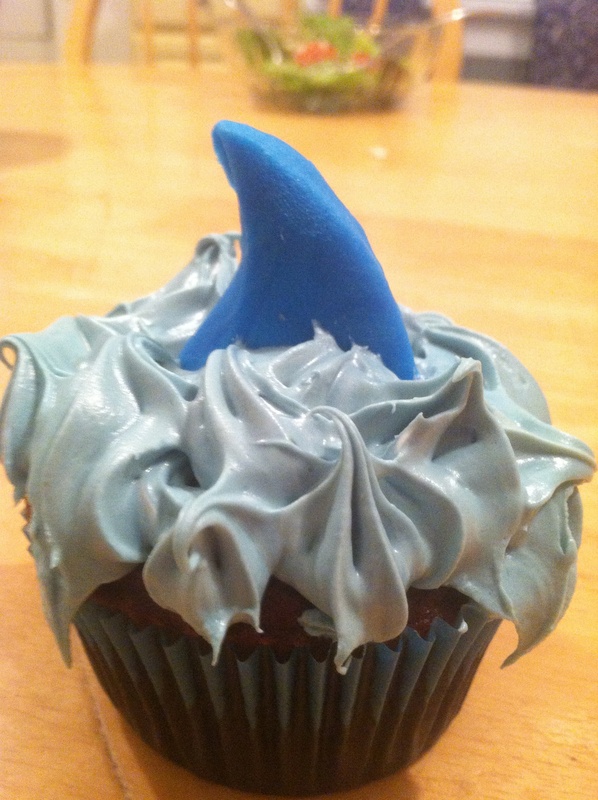 I could see Shark Week Snacks becoming a new tradition, with a new attempt every year. 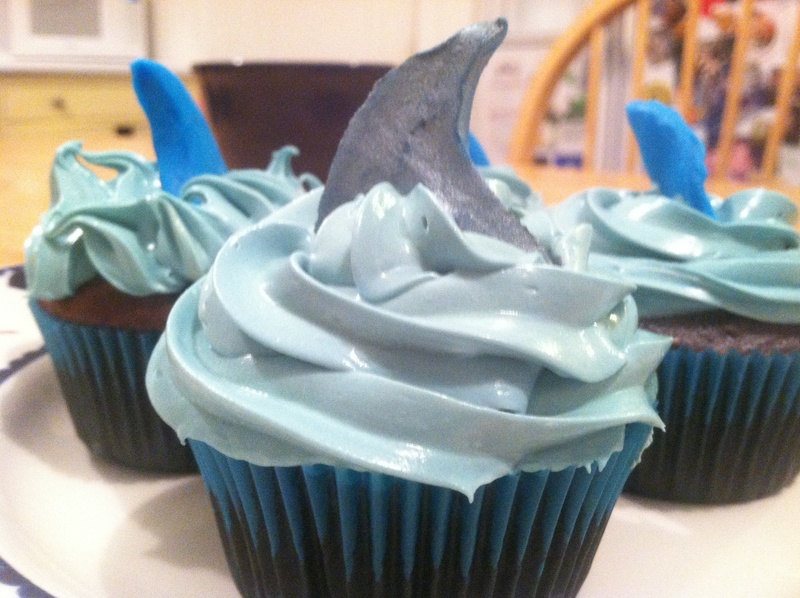 If you still haven’t gotten your shark week fix I suggest some shark attack cupcakes to remedy that (you can even ditch the fins and just have aquatic cupcakes, or, what I like to call “not in danger at all” cupcakes). Kick back, watch Jaws. Or Sharktopus. Either one is valid. My last suggestion is that you a look at all of these pictures of sharks combined with other animals. You wont regret it. Have a wonderful weekend and, as Tracy Jordan once said, live every week like it’s shark week.